I absolutely love this time of year because it means I can start wearing a dark lip again and not look like a total weirdo. Then I remembered that ages ago, because I’d spent a certain amount at Smashbox (because I bought the Ablaze palette), I was given a tube of Instamatte. 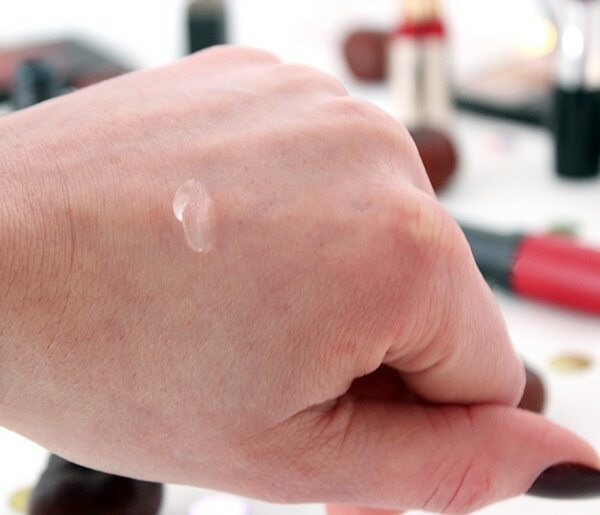 OMG, so this little tiny tube is an absolute little lifesaver ♥ But what exactly is it? 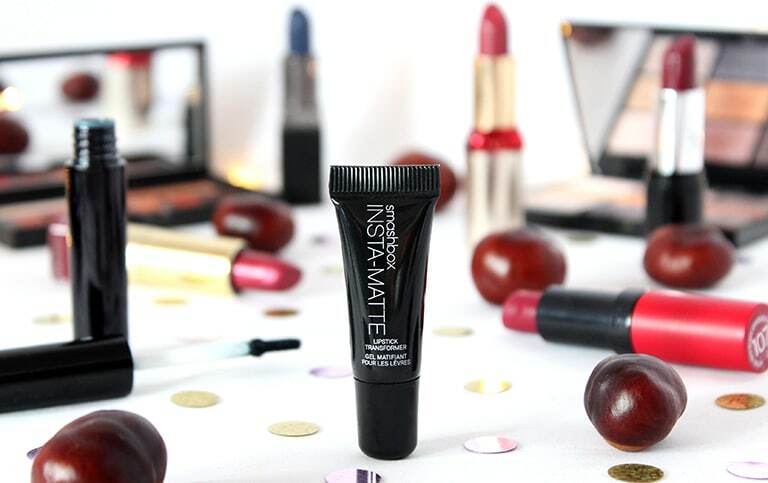 Instamatte is a gel formula that can turn any cream lipstick into a matte one! How does it work? 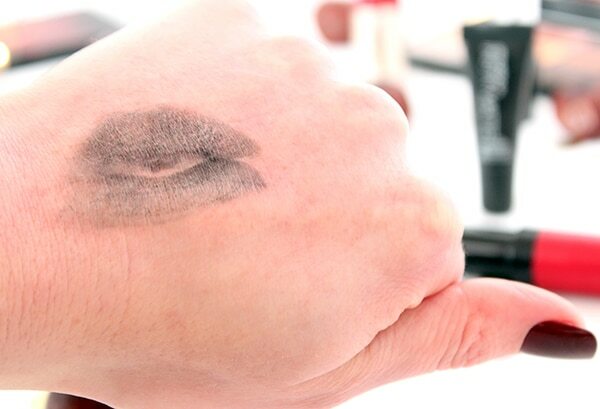 I simply apply my lipstick as normal, then use a lip brush to brush on the gel 🙂 A little goes a really long way, so you don’t need to apply too much! I generally wait for a few minutes to make sure it’s really set before touching my lips, drinking or eating anything!! The gel not only makes my lipstick matte and keeps the colour on for longer, but it doesn’t dry my lips out at all; what a bonus!! 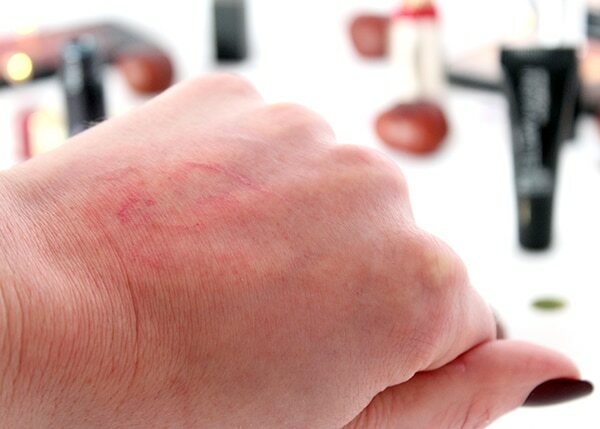 As you can see from the following pics, I’ve kissed my hand while wearing the Rimmel x Kate Moss 107 lipstick and then kissed my hand again after I’ve applied the Instamatte!! 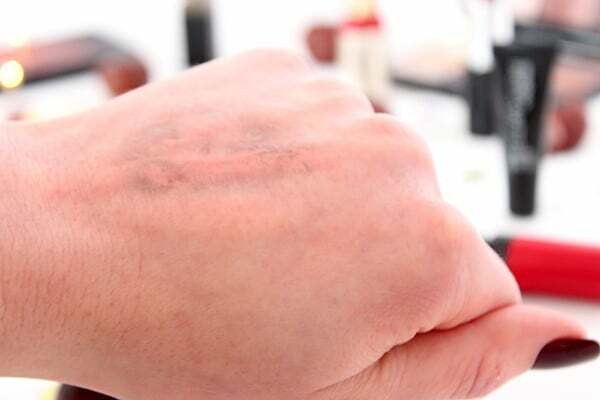 As you can see, there’s only a little colour transfer on my hand after applying the Instamatte. 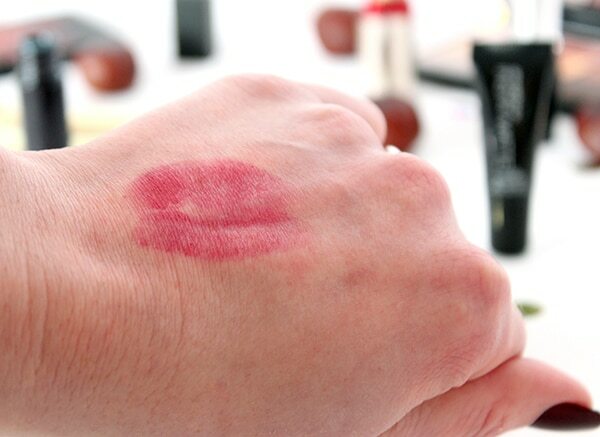 I only left it to dry for a couple of mintues before kissing my hand with it! 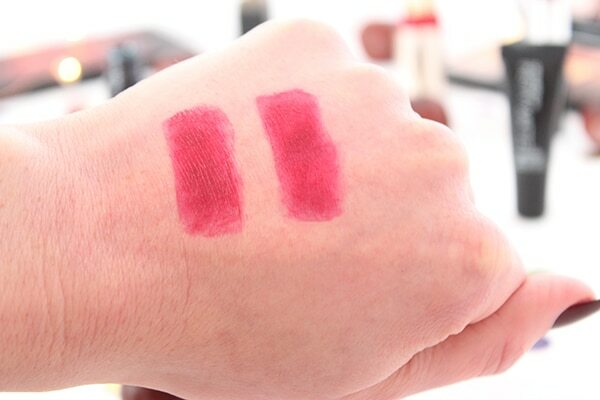 The below photo shows a swatch of the Rimmel on the left and a swatch of the Rimmel on the right, with a thin layer of Instamatte over the top. You can see the difference as the original colour on the left is a lot shinier! I’ve also taken swatches of Nebulus from Illamasqua; my beloved green liquid lipstick that I rarely wear because it comes off so easily 🙁 Again, there’s barely any colour payoff on the bottom photo!! 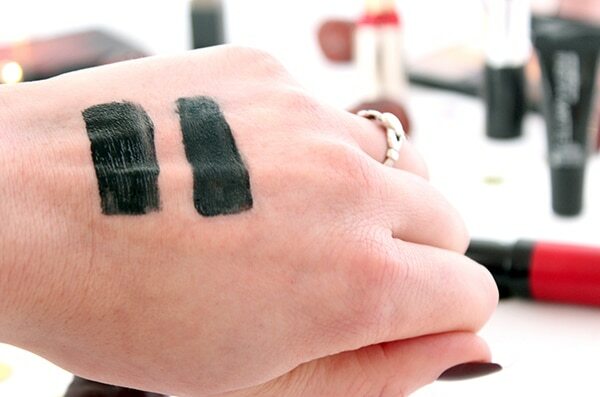 Below are swatches of Nebulus; on the left is the natural colour and on the right, I’ve applied a thin layer of Instamatte. As you can see, the colour is definitely a lot less glossy-looking! The only issue I have with Instamatte is that although you can pick it up easily in Boots, it costs £19 for a teeny tiny tube! That being said, it has lasted for absolutely ages, so I feel it’s going to be worth the money. That being said, there are alternatives out there, for example; lightly dusting your lips with setting powder but tbh, that sounds pretty grim and I bet it doesn’t taste particularly pleasant either!! There’s also Make Me Matte from Saturated Colour. It’s vegan friendly and only costs £8 (no idea about deliver though), but as I’ve not used it before, I can’t comment on its abilities! Boots used to do a similar product in the seventeen range that I swore by for years, I wonder if it’s still available. It not only adjusted the formula, it held it in place but without the drying issue I have with Lipsyl. This is really useful as I prefer a matte lip but sometimes want to use up something glossy in my stash. Definitely keen to try this as I am pretty hopeless with smudging lipstick and can never be bothered to constantly re-apply. Heh. This is such a cool idea! I’d love to try it. 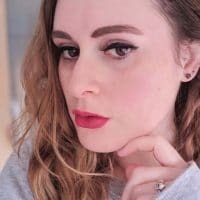 I love how you’ve demonstrated it – I get so frustrated with how often I have to reapply lipsticks! Thank you 😊😊 and it’s so good for lipsticks lasting longer! What is this sorcery?! Where has this been all my life?! This is such a brilliant idea, looks like I would really enjoy it! Well done Holly. I now need to buy this! Sounds like such a snazzy product. I’m forever reapplying matte lips or taking them off because I got aggy!